The S&P 500 was barely changed on the week, despite Friday's swoon. Revisiting the more significant technical indicators reviewed by Baseline Analytics, the market's general demeanor remains positive despite weakness in momentum, small cap and Nasdaq stocks in general. 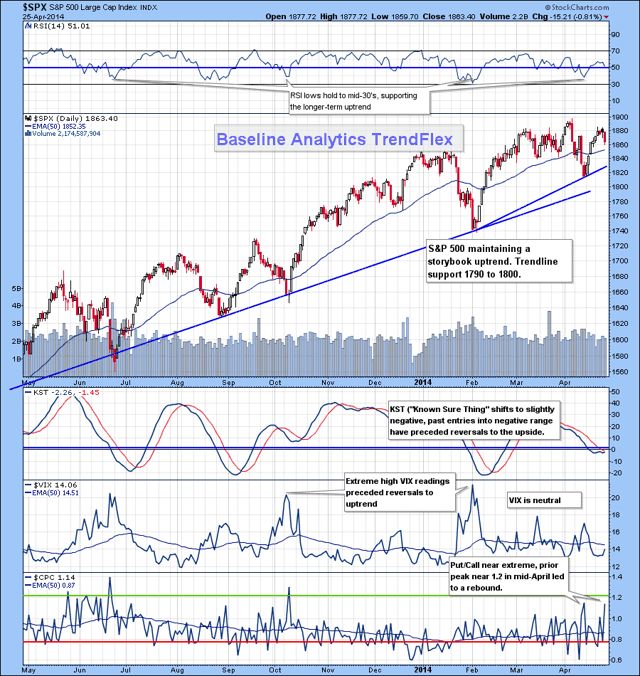 The major uptrend remains intact; RSI held above the mid-30's (top of chart below), reinforcing the bull market. KST is neutral to slightly negative; not a significant concern at this time. 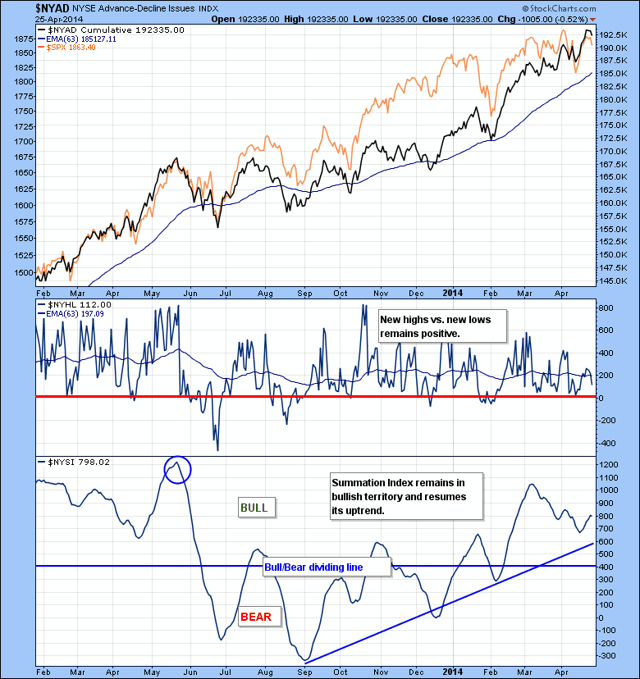 VIX is neutral however Put/Call ratio is near a point that would suggest a reversal in this short downtrend. Advances vs. declines remain near their highs. The Summation Index (a momentum indicator) remains in bullish territory. So while the markets have shown increased volatility and headline reaction, it appears that sector rotation is shifting funds from momentum and small-cap high-fliers and seeking the alternative sectors (larger-cap, dividend-paying, lower beta, more reasonable value equities) in this aging bull market. Visit Baseline Analytics TrendFlex for more information about our TrendFlex indicators.